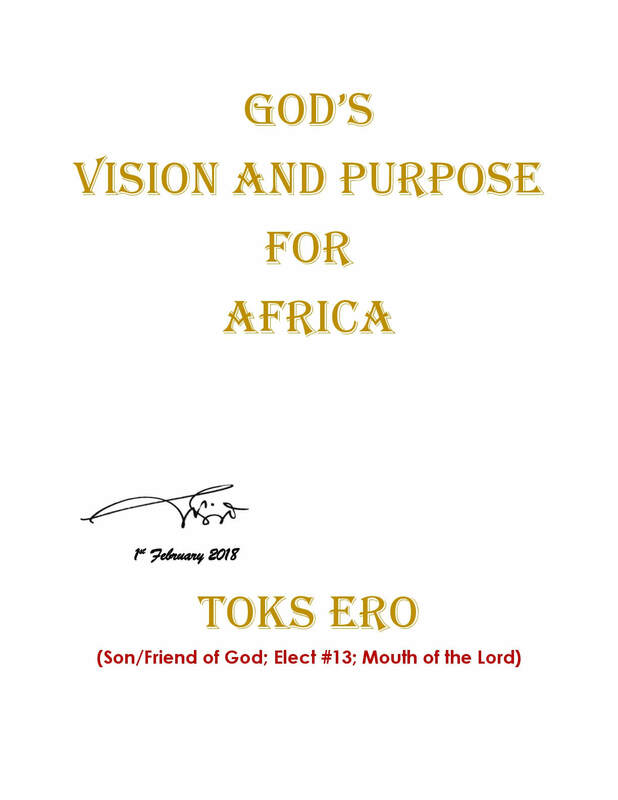 Toks Ero releases empowering new book - "God's Vision & Purpose For Africa"
HomeLifestyleToks Ero releases empowering new book - "God's Vision & Purpose For Africa"
Toks Ero is sent by God with a special mandate for Africa. Mouth of the Lord, he is a prophetic voice with a strong bias for constructive and critical engagement of church and political leadership. Adherence to biblical teachings, principles, practices and patterns are focal points of his prophetic ministry. While inspiring young Africans to a deep sense of responsibility and action against corrupt leadership, corruption, ineptitude, highhandedness and arrogance of power, he advocates visionary, responsible, responsive and humane governance to transform Africa. 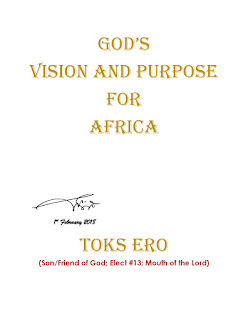 The book is a message from God to and concerning Africa. A mix of revelation, prophecy, inspiration, instruction and warnings; it reveals God’s agenda for a continent that He has personally taken ownership of variously describing Africa as “My” and “Mine”. A divine and pragmatic guide to inspire and quicken a new generation of young Africans and Christian leaders to action, the book provides the lenses to peek at Gods vision of Africa while providing practical steps to force a metamorphosis and birth this new, model and glorious Africa reflecting its Heavenly version. Overall, the book presents God's wholistic agenda for a new and glorious Africa; stretching from the home, through the Church to the continent, in these end-times.